In our daily lives all of us will face trials and tribulations. Some seem to move from one crisis to the next . . . failing health of parents, grave personal illness, rebellious teenagers, depression, job loss, financial burdens, divorce, the so-called “mid-life crisis”. The list is endless. Yet many Christians seem to handle such situations much better than others. How is that possible? The Word of God teaches us that no matter the circumstances, whatever you do, we are to give thanks to God. Colossians 3:15-17 (ESV) – 15 And let the peace of Christ rule in your hearts, to which indeed you were called in one body. And be thankful. 16 Let the word of Christ dwell in you richly, teaching and admonishing one another in all wisdom, singing psalms and hymns and spiritual songs, with thankfulness in your hearts to God. 17 And whatever you do, in word or deed, do everything IN the name of the Lord Jesus, giving thanks to God the Father through Him. You may have noticed that I capitalized the word “IN” above in verse 17. 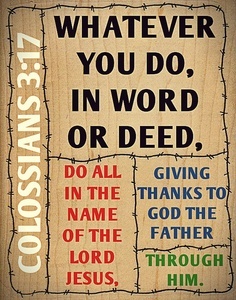 When we “do everything IN the name of the Lord Jesus” we are to do everything IN total dependence upon God and not ourselves, all the while “giving thanks (thanksgiving praise) to God the Father through Him.” When you were saved, God placed His Holy Spirit IN you so that He could live and be seen by others through you. He created you IN His image and He is IN you to perform His works through you. Christian, you need to stand aside and let Him that is IN you deal with ALL of our circumstances. There is peace that awaits the Christian who can always voice their gratitude to the Lord no matter the circumstances. Giving thanks to the Lord helps us to keep our focus on God instead of our problems and aligns us with God’s will for our lives. After all, we know that the victory over ALL of our trials has already been won by God. As Paul also wrote to the Thessalonica church in the midst of their trials “In everything give thanks; for this is God’s will for you in Christ Jesus” (1 Thessalonians 5:18 NASB). Oh Holy Father, the Lord that provides (Jehovah Jireh), we place our trust in You to handle ALL of our circumstances through Your Holy Spirit that INdwells us. 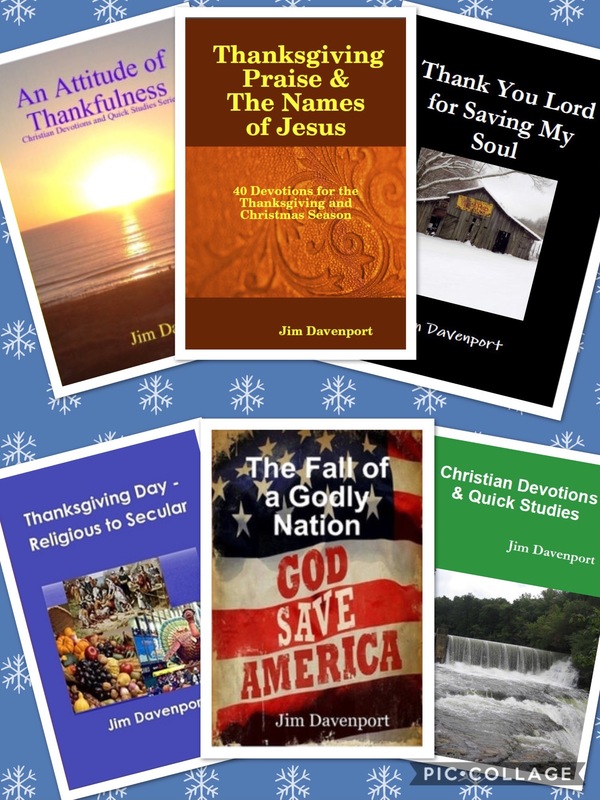 We give you Thanksgiving Praise for the peace that you provide in our most difficult times. Remind us continually Father that whatever we do we are to give thanks to God. Amen and amen. Gallery | This entry was posted in Bible Studies, Christian Devotions and tagged 1 Thessalonians 5:18, bible studies, Christ, christian devotions, colossians 3:15-17, Corinth, dependance on God, depression, devotions, El Shaddai, failing health, faithfulness, give thanks, God, God cares, God knows, God provides, Jehovah Jireh, Jesus, job loss, let the peace of God dwell in your hearts, Lord, Provider, rebellious teenagers, Sustainer, thanksgiving devotion, thanksgiving praise, Thanksgiving Prayer, trials, tribulations. Bookmark the permalink.